I hope I’ve convinced you that planning makes homeschool moms happy. 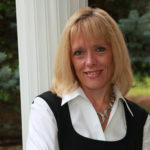 If you haven’t yet read the reasons planning rocks for homeschool moms, do that first. 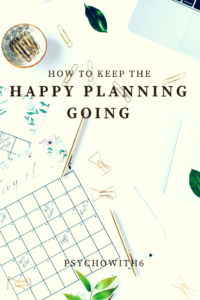 Today we are talking about how to keep happy planning going. If you’re like me and you have begun using numerous planners only to leave them languishing on the shelf, you’re going to love this post. 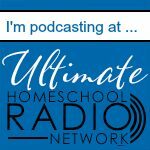 My guest on the Homeschool Sanity Show, Diona Navarro, had these tips for continuing to use your planners. Buy a planner that works the way you do. “Don’t just buy a planner because it’s cheap, pretty, or other people are buying it,” Diona says. 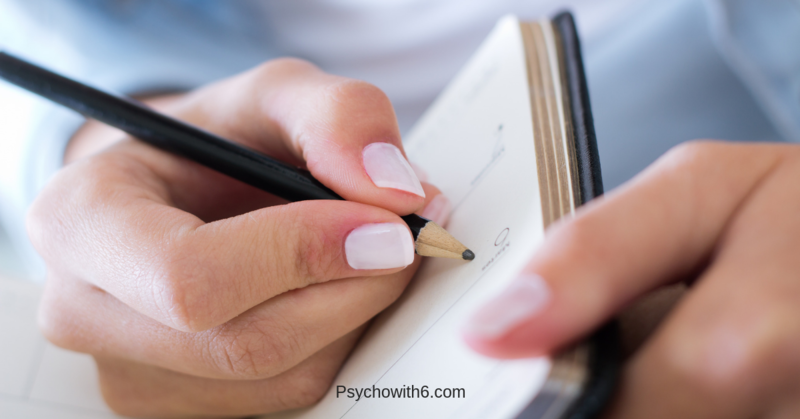 She explains that the right planner for you should allow you to record your thoughts. Her preference is for a planner that allows checklists and is something she can make pretty with her supplies. Diona sets up her planners so others could take them and use them to direct her family’s day. That means it has to be easy to understand and not overloaded with tasks. Diona advises leaving your planner out where it’s visible. Leave it on the table in the kitchen, for example. The more you see it, the more you’ll rely on it. Diona takes time every Saturday and Sunday to use her various planners. Without set times for planning, it wouldn’t happen. Diona advises that you plan more than one week at a time in case you can’t do your regular planning time. I love the tips that Diona gave us. I have a few of my own to add. Use your planner as a guide, not a boss. You’re the boss. And no matter what you said you wanted to do in your planner, you get to change your mind. Like a tour guide who has ideas at the ready for you, your planner is happy to take you on any side trips you want to take. A tour guide is not evaluating you and neither is your planner. Planners don’t grade our performance. If we view our planner as our boss, we will resist opening our planners and having a performance review. Here is how I solved this very pervasive problem for myself. After I have made my plan for the day, I close my planner and walk away from it. I take a picture of my planner, so I can refer to it later in the day when I feel a little lost. But closing my planner gives me permission to take the route I feel led to take through my day. Like a map, my daily plan is there to refer to if I need it. This perspective and approach have made me more likely to follow my plan for the day. Make planning the best part of your day and week. My planning always begins with time with God. I am in prayer and in the Word and I have peace. I recognize small matters for what they are. I am reminded of the power I have in Christ for the big matters that are facing me. I love beginning my planning time with gratitude. That attitude is proven to improve mood even in those who do not recognize a sovereign God. My monthly plan gives me a picture of all my family’s activities and how much I have to be grateful for. I love that I have the opportunity to assess areas where I have missed the mark as well. I can leave any guilt or fear that I have right there on the page. Once I have spent time with the Lord, I feel ready to consider my priorities for the day. I make this part of planning so rewarding that I don’t want to miss it. I sit in a comfortable chair with excellent light. I have blankets at the ready and often a cute little dog to cozy up to at the same time. I allow myself to use stickers and colorful pens and motivational quotes as I feel led. I end with a realistic view of how my day will go that gives me peace. 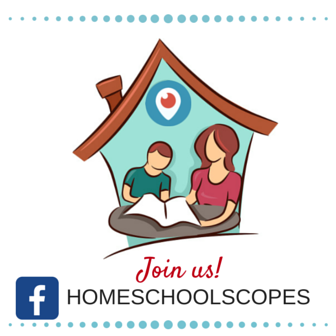 Using these tips, I believe that you can continue as a happy planning homeschool mom. 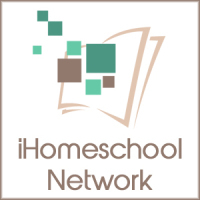 To get even more from your planner, make sure you subscribe to learn the habits of the organized homeschool mom and how to make adopting them easy. Which of these tips will best help you keep up the planning habit? Comment and let me know.